Britain faces the threat of social unrest as robots take 'swathes' of jobs, the Bank of England's chief economist warned today. 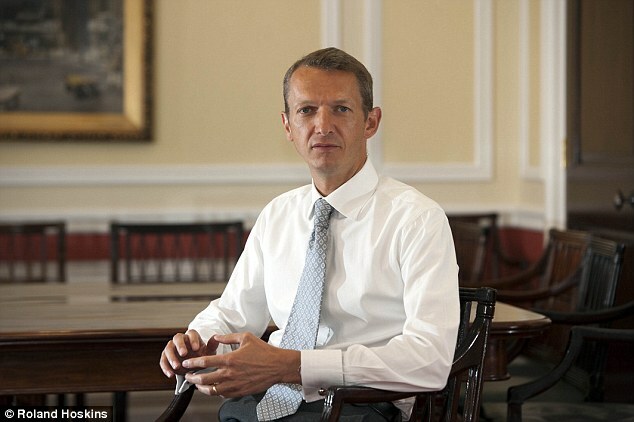 Andy Haldane said the so-called Fourth Industrial Revolution will see 'the machine replacing humans doing thinking things'. He cautioned that the 'dark side' of the change could be disruption on a much bigger scale than in Victorian times, with professions such as accountancy among those at risk. The stark message came amid calls for a massive skills drive to find employment for those set to be affected by the next wave of automation. In an interview with BBC Radio 4's Today programme, Mr Haldane said: 'The first three industrial revolutions have been about largely machines replacing humans doing principally manual tasks, whereas the fourth will be different. A report by the accountancy firm PwC last month warned that more than 7million jobs in Britain could be lost over the next 20 years as technological change sweeps through workplaces. The overwhelming majority of these are in jobs in the retail, transport and manufacturing industries. However, other traditional professional sectors could also be at serious risk. The losses are likely to be offset by new roles, with health predicted to be among the boom areas. Economists tag the arrival of increasingly intelligent computers as the fourth industrial revolution. The first was said to be the shift from agricultural to urban societies, the second saw the widespread use of electricity and steel, and the third was the digital revolution when computers, the internet and mobile phones were developed. Mr Haldane said the 'hollowing out' experienced in the past shake-ups could be on a greater scale in the future. His comments echo those of the Bank's Governor, Mark Carney, who has previously spoken about large-scale technological disruption to the jobs market. Mr Haldane, tipped by many as Mr Carney's successor, added: 'Given that the scale of job loss, job displacement is likely to be at least as large as that of the first three industrial revolutions, we will need even greater numbers of new jobs to be created in the future if we are not to suffer this longer term feature called technological unemployment. He also argued that it was important to learn the 'lessons of history' and ensure people were given training to take advantage of new opportunities. He pointed out that in the past a safety net such as new welfare benefits had also been provided. The previous industrial revolutions had a 'wrenching and lengthy impact on the jobs market, on the lives and livelihoods of large swathes of society', Mr Haldane said. 'Jobs were effectively taken by machines of various types, there was a hollowing out of the jobs market, and that left a lot of people for a lengthy period out of work and struggling to make a living,' he added. 'That heightened social tensions, it heightened financial tensions, it led to a rise in inequality. 'This is the dark side of technological revolutions and that dark-side has always been there. 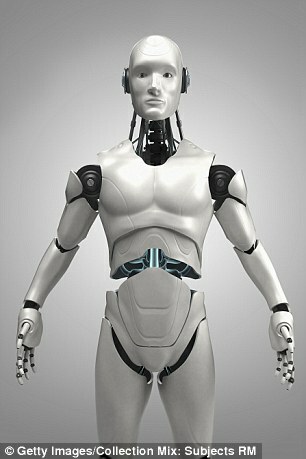 Mr Haldane said professions like accountancy could be among those hardest hit by the rise of AI. But he suggested economists could escape largely unscathed.